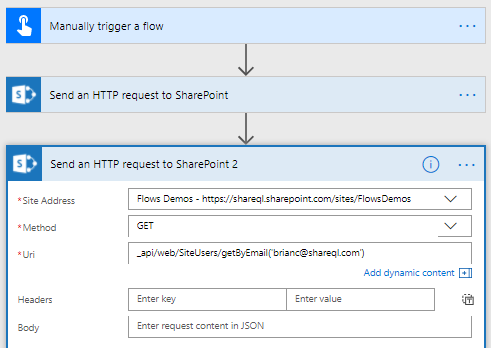 For a SharePointer like me the new Microsoft Flow action Send an Http Request to SharePoint action released yesterday is an important milestone because now we can easily start using the SharePoint REST api (without having to deal with digest, tokens, all those horrible things that are now encapsulated into the action 🙂) and there is almost no limit to what we can do with SharePoint…as long as we know how to use the SharePoint REST API. 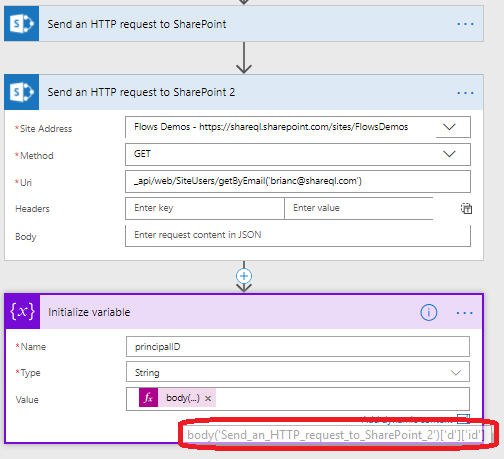 And as long as the account defined in the SharePoint connection has the permission to do what you into to do. Therefore, it is not an action for normal users, but mostly for developers. Perhaps some Power users should be able to deal with it. More details on the REST operation on SharePoint here. 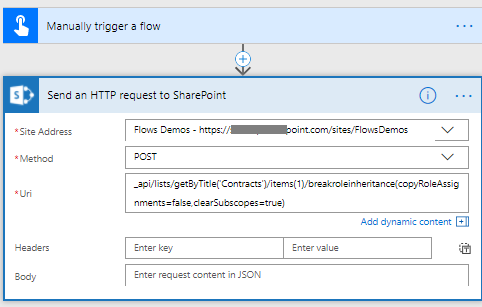 I will start with a basic example: how can we set a unique permission to a list item (or a document library item). There are some business scenarios where this is crucial. Example: we have an onboarding Flow that is triggered when a new employee is hired: a contract is generated, signed by both the employee and his new manager and the contract is uploaded in a document library; however, confidentiality is important: only members of HR and the employee himself can read the document. 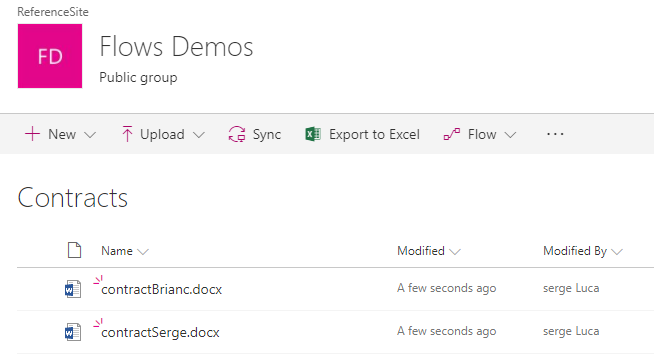 I’ve implemented such scenario with pdf generation, e-signatures, Office 365 account creation (see my video…). See my video here. But I didn’t implement the unique permission on the document. (I suppose the document has the ID=1 that is why I specify …/items(1)…. You will notice that the document has already a unique permission; permission inheritance has been broken. In a next blog post I will illustrate how to integrate this knowledge into the more complex OnBoarding flow.